This article builds upon the demo project created in 2D Platform Games Part 9: Storing Levels in Files / Level Editors. Start with 2D Platform Games Part 1: Collision Detection for Dummies if you just stumbled upon this page at random! IMPORTANT! From Part 8 onwards, you no longer require the Visual C++ 2010 Redistributable Package installed in order to be able to try the pre-compiled EXEs provided with the examples. This article builds upon the demo project created in 2D Platform Games Part 8: Pass-through Platforms. Start with 2D Platform Games Part 1: Collision Detection for Dummies if you just stumbled upon this page at random! 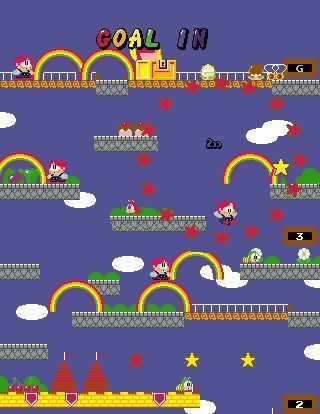 Until now we have just used a fairly arbitrary demo level that was hard-wired into our game code. This is neither very flexible nor very fast. It’s hard to create levels, and we also can’t offload that task to other members of our team. 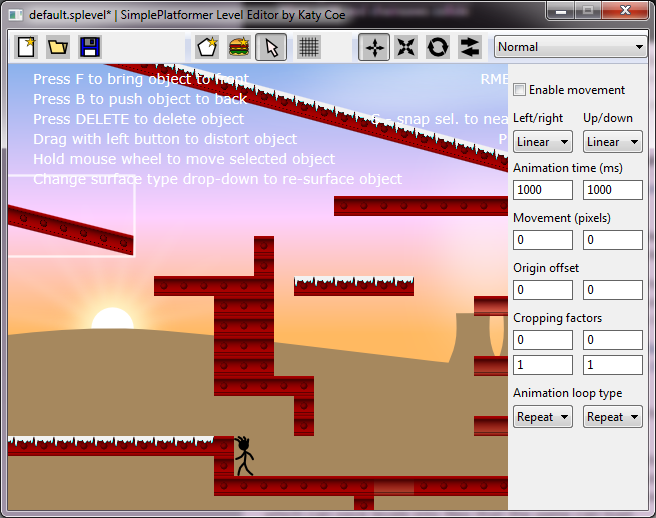 The solution, of course, is to make a level editor application which can save levels into files that the game can load.